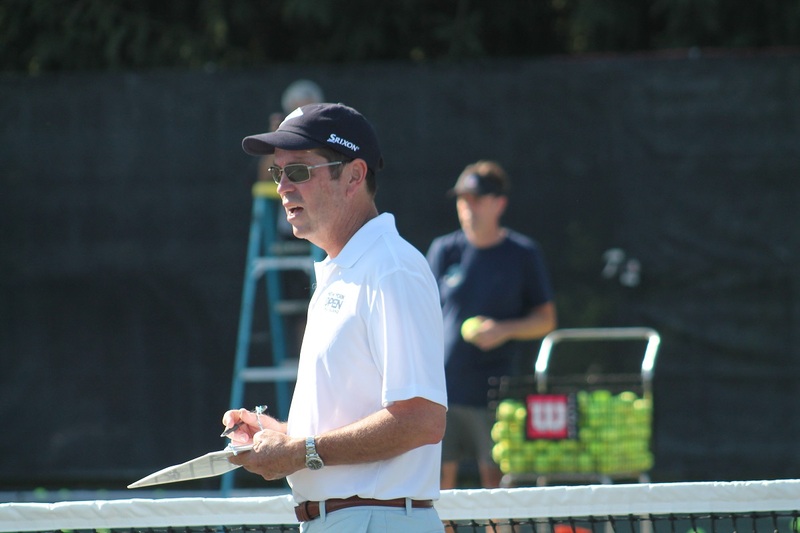 With the 2019 New York Open set to get underway this weekend, Long Island Tennis Magazine had a chance to sit down with Peter Lebedevs, Assistant Tournament Director of the New York Open. We discussed a variety of topics, from what’s new in 2019, to the local grassroots tennis community. LITM: What sort of new features and additions can fans come to expect in Year Two of the New York Open? Peter Lebedevs: This year, we have incorporated some exciting features. The first one everyone will see is the creation of VIP Box seats. These include four seats in a private courtside box to every session with food and beverage included! New for this year will be The Taste of New York Open Player Party, featuring Chef David Burke with Andy Roddick and Jim Courier as guest chefs on Saturday, Feb. 9th prior to their Opening Night match. We will have a Wolf Pack Ninja obstacle rig in the Exhibition Hall for everyone to experience the fun of challenging themselves to the course. There will be a Police vs. Fireman event Tuesday, Feb. 12 on the Ninja rig … really looking forward to that competition. We will also have College Night that evening with the Winner of the College Wild Card Invitational, Jack Lin from Columbia, playing his first match. College students who show their ID can get their ticket for $10! What can someone expect if they purchase a ticket and come out to the 2019 NY Open? A first-class experience that is more than tennis that will make them want to come back again. Being able to be up this close and personal, watching some of the best tennis players in world compete in the stadium is amazing. The chance to walk past a top 10 player as they walk through the venue. When the fans aren’t watching tennis, they can take part in some exciting off-the-court activities like the Ninja course and Beach Tennis. When they are hungry, they can experience some Chef David Burke-inspired menu items … there is something for everyone. What feedback did you receive from the tournament’s first year and how have you used that to build on the event? As a first-year event, we received some welcomed feedback from the passionate tennis fans. We listened and have made some enhancements. The need for box seats was what we heard a lot, so we have created that experience. Our Daily Session times will begin earlier, so more schools and groups could come see world-class tennis action. Our ticket pricing was adjusted to create a very affordable price point for fans to come to the event and we will have more food options for everyone to choose from as well. How have you been reaching out and immersing yourselves into the Long Island/New York community? The first week after last year’s event, we started going out to tennis clubs and facilities to engage them for 2019. This summer, we were at all the clubs in the area providing New York Open prizes and the new Skills Challenge programming. We have been at a lot of events such as Kids Day in the Hamptons, the NYBT summer series, and this holiday season, had a giant tennis ball can filled with Dunlop tennis balls in Roosevelt Field Mall. We also attended local Chamber of Commerce meetings and the LIA holiday event. Our goal is to make sure that everyone on Long Island and the New York community knows about the New York Open!